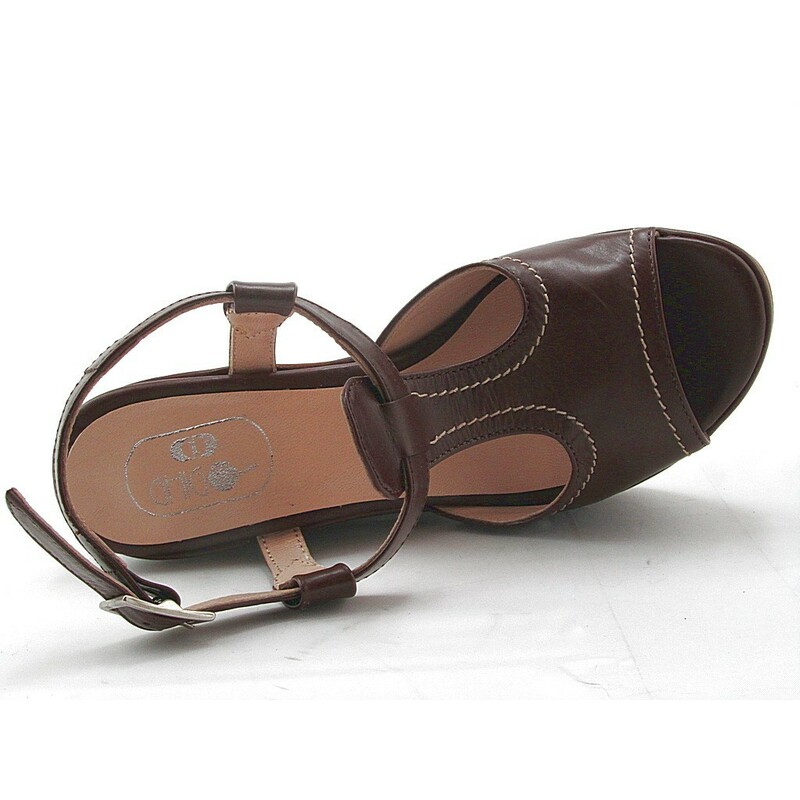 Wedge sandal, 11 cm. high wedge and 3 cm. 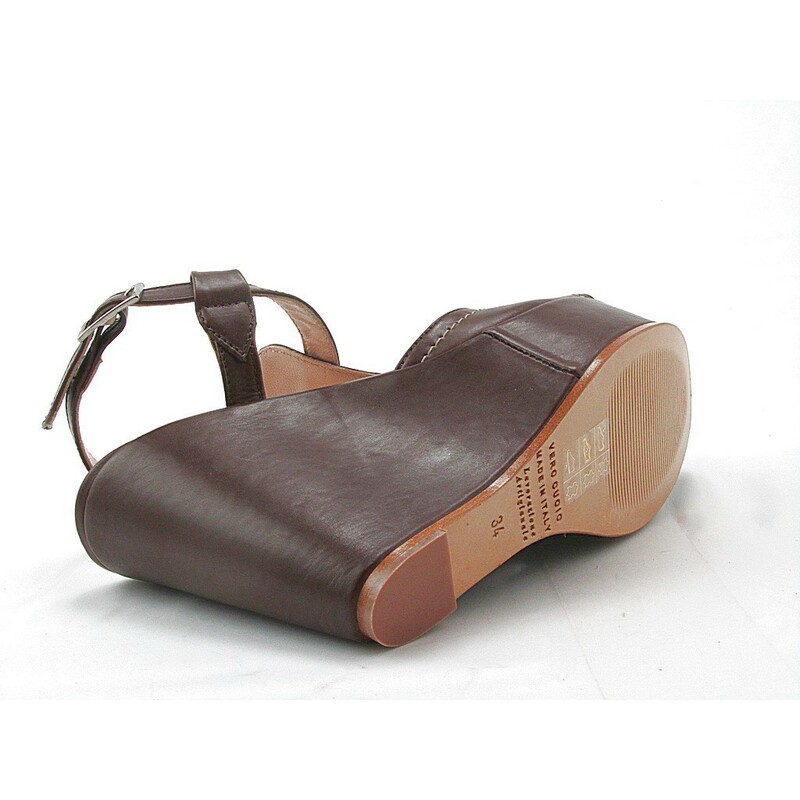 high platform, in dark brown leather, elather sole, leather lining.